One of the more interesting aspects of the fallout over Matt Latimer's Speechless, his memoir about his days as a Bush speechwriter is the split between staffers loyal to Bush and those loyal to Cheney. While Bushies have savaged Latimer for disloyalty and worse (this William McGurn op-ed in the WSJ is just plain mean), the Cheney-ites have rushed to his defense, with Kevin Kellems, Stephen Hayes, and others all weighing in on Latimer's behalf. Latimer is often critical of George W. Bush. In that, he’s giving voice to a large segment of the Republican Party disappointed in Bush’s profligate spending and second-term foreign and national security policy. As I've written before, the Cheneyites' belief that Bush's presidency went bad because he eventually marginalized them--and their related refusal to acknowledge that Bush marginalized them precisely because they had led him astray--is just gobsmacking. Latimer, who by his own admission was a fairly marginal player in the Bush White House, has only so much material with which he can smack around Bush. 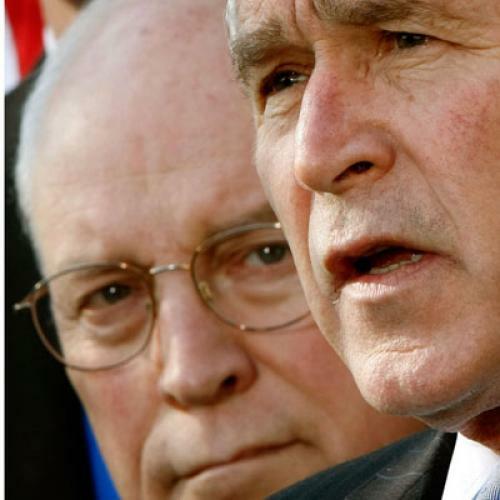 But Cheney and Rumsfeld--who are writing their own books--obviously won't lack for such material. I wonder if their tomes will make Latimer's look tame by comparison.